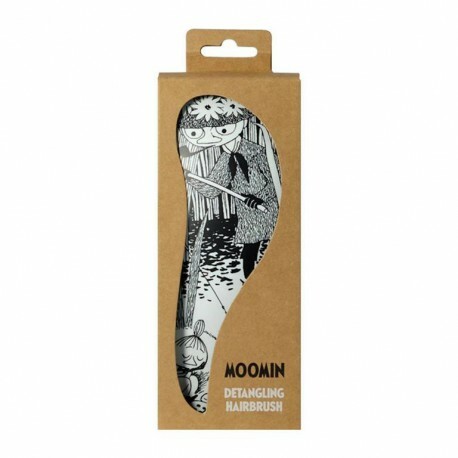 Lovely Moomin detangling brush is the best at removing knots and tangles smoothly and gently without damaging your hair! opening the tangles gently and without damaging the hair. Brush detangles easy to wet hair. Its ergonomic design allows the brush to get a good grip, so that it feels comfortable and solid in the hand. Anti-static brush also prevents the digitization of hair due to brushing. As a result, a silky soft and beautiful shiny hair. Because of their size Moomin Scratchy brushes is easy to carry around in your bag or backpack.